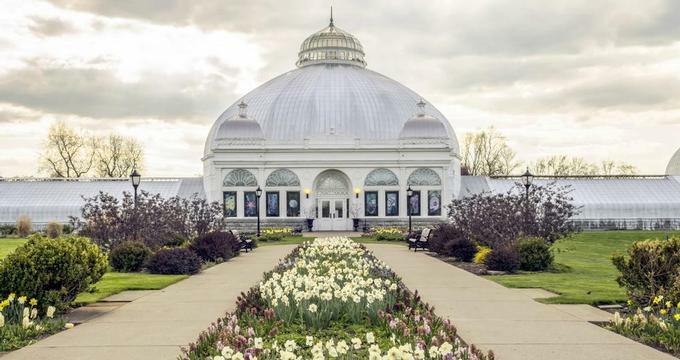 From beautiful botanical gardens and parks to an array of attractions and exciting tours, Buffalo, New York, offers visitors plenty to see and do. Take the kids to the zoo, explore the Buffalo Museum of Science and enjoy an array of activities offered in downtown Buffalo. Other top things to do in Buffalo, NY, include the Erie Basin Marina, the Frank Lloyd Wright's Darwin D. Martin House Complex, and Theodore Roosevelt Inaugural National Historic Site. The Buffalo and Erie County Botanical Gardens are located in South Park in Buffalo, and are dedicated to inspiring and encouraging an appreciation for plant life. Designed by Frederick Law Olmsted, designer of New York’s famous Central Park, the gardens were also created to provide a place for the public to enjoy an impressive living plant collection, as well as a community cultural institution and center for research and education. 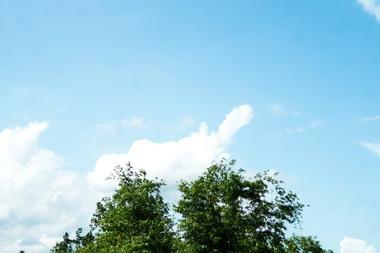 If you are looking for best romantic things to do in Buffalo, this is a great place to visit. The gardens are home to a beautiful tri-domed glass, wood, and steel conservatory designed by Lord & Burnham, and host a variety of exhibitions, educational programs, and events throughout the year. 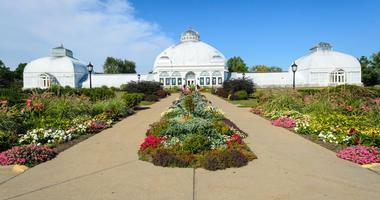 The gardens are open seven days a week and are fully handicapped accessible. The Erie Basin Marina is a beautiful riverfront park and marina located on Buffalo’s downtown waterfront. The marina, situated next to the Erie Canal Harbor, is home to a private marina, a public park, and gardens with a waterfront observation tower, restaurants, and a lovely winding waterfront path to stroll along. If you are wondering what to do in Buffalo on a sunny day, this is a beautiful place to visit. During the summer, the marina’s glorious garden features a variety of flower collections and an award-winning rose garden set against the backdrop of the tranquil water and bobbing yachts and boats of the marina. During summer, the marina is packed with walkers, joggers, boaters, kayakers, and families enjoying the lovely surroundings and views. Located in Delaware Park, the Buffalo Zoo is home to a diverse collection of wild and exotic animals, as well as over 320 different species of plants. Founded in 1875, the Buffalo Zoo is the third-oldest zoo in the United States, and it serves as a source of conservation, recreation, and education for the people of Western New York. Major exhibits at the zoo include Sea Lion Cove, Rainforest Falls, Otter Creek, and the special children’s zoo, Heritage Farm. The Buffalo Zoo is one of the best things to do in Buffalo with kids. There is also a new exhibit called Arctic Edge, which has two polar bear enclosures with underwater viewings for guests. More places to visit: The Ultimate Niagara Falls List: 15 Best Things to See & Do. The Burchfield Penney Art Center is a museum exclusively dedicated to the art and artists of Western New York. The museum plays host to more than 30 major exhibitions a year, featuring works by various famed artists, including American watercolorist Charles E. Burchfield. The museum also offers a variety of educational programs and learning opportunities for the community in the form of outreach programs, workshops, classes, partnerships, and collaborations for students, educators, and adults. If you are looking for romantic date ideas, head to the Burchfield Penney Art Center. The museum’s inviting café serves a tempting menu of delicious homemade soups, sandwiches, snacks, and desserts, as well as beer and wine, with a special brunch menu on Saturdays. The museum is open every day of the week and is fully wheelchair accessible. Buffalo Touring Company offers visitors historical tours on a Segway, a two-wheeled personal transporter powered by an electric motor that moves in response to the rider’s center of gravity. The tour takes visitors past some of the city’s most famous attractions, buildings, and historic sites such as the Buffalo History Museum, the Albright-Knox Art Gallery, Hoyt Lake, Delaware Park, and the Buffalo Zoo. Experienced tour guides will share the history and interesting facts about the "Queen City" as you cruise in safety and style. Located at the corner of Seneca Street and Michigan Avenue, the Buffalo Transportation Pierce Arrow Museum pays homage to the rich transportation history of Western New York. Opened in 2001, the museum features an extensive collection of transportation memorabilia, historical artifacts, and vintage vehicles, including a 1903 Pierce Stanhope. 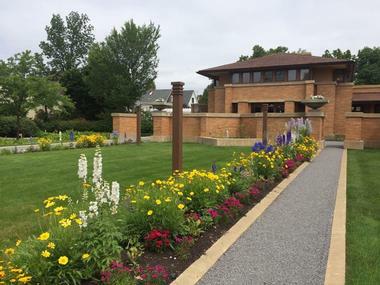 The museum also boasts a replica of the 1927 Buffalo filling station designed by renowned architect Frank Lloyd Wright. The station was never built, however. Guided tours through the museum and its impressive collection by expert guides can be arranged. Located in central Buffalo, Elmwood Village is a friendly neighborhood situated between Elmwood Avenue and Delaware Avenue. It is home to a number of retails stores, businesses, restaurants, and popular attractions and historic buildings. If you are wondering what to do in Buffalo today, this is a great place to start exploring. The village features over 300 shops, coffee houses, cafés, and museums, including the Albright-Knox Art Gallery, the Burchfield Penny Art Center, the H.H. Richardson Complex, and the historic Lafayette Avenue Presbyterian Church. With its range of boutiques, brand stores, and specialty shops, the Elmwood neighborhood is a shopper’s paradise, and it also has a vibrant nightlife. The Buffalo Museum of Science is a popular science museum located near the Kensington Expressway. It is dedicated to the exploration of science, technology, and astronomy. Situated in a historic building in Buffalo’s downtown district, the museum is home to a variety of exhibitions that cover subject matter such as astronomy, geology, biology, and space technology, including Our Marvelous Earth, Bug Works, and Our Place in Space. The Buffalo Museum of Science is one of the best things to do in Buffalo with kids. The museum offers a range of workshops, classes, and educational programs, as well as field trips and guided tours to the museum, and a traveling outreach program. The museum has a café that serves freshly made snacks, light meals, and beverages. World-renowned architect Frank Lloyd Wright designed the Darwin D. Martin House Complex, which is considered to be one of his greatest works. Built in the early 20th century for Buffalo businessman Darwin D. Martin, the residential compound has been hailed as one of Wright’s most famous works from his Prairie School Era, and it received a National Historic Landmark status in 1986. Located at 125 Jewett Parkway and dedicated to preserving, interpreting, and promoting world-class architecture, the complex offers a variety of educational programs, youth workshops, and adult classes and lectures on architecture and design. 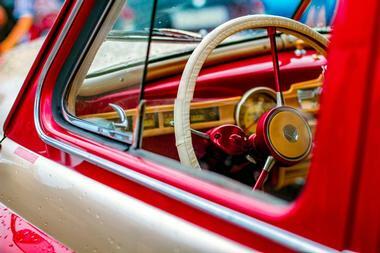 Take a cruise through history with a fascinating 90-minute tour along the Buffalo River. Buffalo River History Tours cruise the waterways of the river and provide narrated tours on the 48-seater River Queen, which include the Buffalo River City Tour and the Silo City Tour. Learn the story of the Erie Canal and admire the beautiful buildings of the city on the Buffalo River City Tour or see the nation's largest collection of standing grain elevators and find out more about the city’s history as the greatest grain port in the world on the Silo City Tour. The River Queen can be rented for special functions and private events with full catering facilities. Buffalo Pedal Tours is a tour company that offers visitors a great new way to see the city and share their experience with old and new friends. Buffalo Pedal Tours is a green pedal limo that takes guests on a tour of the city, highlighting famous attractions, architectural gems, and historic buildings, as well as the best restaurants, cafés, and bars. The tour bus is pedal-powered and directed by a driver. It is not only environmentally-friendly but it is also a comfortable and safe way to visit some of Buffalo’s best bars without having to worry about driving. General tours are open to all ages and the tour bus can also be hired for private events and special functions. Located in Buffalo’s Larkinville district, Larkin Square is a unique neighborhood that opened in 2012 at the location of the historic Larking Soap Company warehouse. Larkin Square is envisioned as a gathering place and a neighborhood hub, with a range of ever-changing activities. The whimsical architecture and colorful furniture in the open space create a great background for community gatherings, live music, and various events. The Filling Station, a former 1930s gas station, is now a popular restaurant during the day, while in the evening it hosts events such as Food Truck Tuesday or the KeyBank Live at Larkin concert. On Tuesdays, up to 40 food trucks from Rochester and Buffalo gather at Larkin Square and the party starts with great food, cool beer, and live music. The Buffalo and Erie County Naval & Military Park is a museum that pays tribute to the history of the American Navy. Located on the shore of Lake Erie in Buffalo, the museum is home to several decommissioned US Naval vessels, including the Fletcher-class destroyer USS The Sullivans, the Cleveland-class cruiser USS Little Rock, the and the submarine USS Croaker. 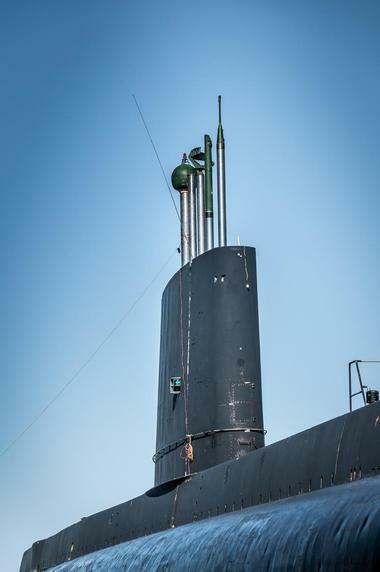 In addition to the large ships, the museum also has smaller vessels, vehicles, and aircraft with ties to the Navy on display, and it hosts a variety of events relating to major historical moments of the Navy’s past. The Park hosts traditional Scout overnight encampments, as well as educational tours and fun-filled field trips for young people. 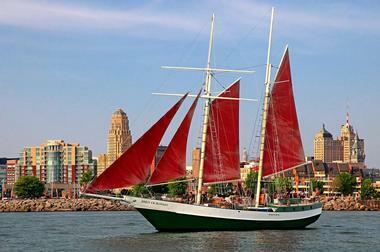 Experience Buffalo from the water with a sailing adventure on the Spirit of Buffalo. Cruise the waterways of the Erie Canal as you take in the sights and sounds of the city on this beautiful 73-foot schooner, which is sailed and manned by a professional crew. Enjoy magnificent sunsets over Lake Erie on the sunset sails or sip wine from the Niagara region and enjoy a cheese and cracker buffet on the special Wine in the Wind cruise. Sample some of Buffalo's best craft brews and light snacks on a two-hour craft beer cruise or entertain the kids with a fun-filled pirate adventure with treasure hunts, face painting, pirate stories, and music. Combine a romantic sunset cruise with dinner at the Pearl Street Grill for a perfect evening overlooking the water. Theodore Roosevelt Inaugural National Historic Site is a museum dedicated to the life of the United States’ 26th President, Theodore Roosevelt. The museum is home to a range of interactive and immersive exhibitions and displays, following the life of Roosevelt from birth to the presidency and the pivotal role he played in leading the nation and the world. Daily guided tours through the museum take you back in time to Buffalo's heyday and the Pan-American Exposition, along with other ground-breaking events that changed the face of history. The museum also leads group and private tours, and it is open year-round. 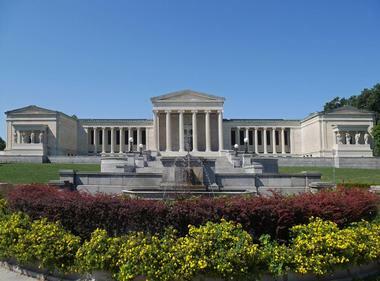 Established by the Buffalo Fine Arts Academy in 1862, the Albright-Knox Art Gallery is located on Elmwood Avenue and presents an outstanding collection of modern and contemporary art. Dedicated to fostering the understanding and appreciation of contemporary and modern art, the Gallery acts as an artistic, cultural, and educational resource for both the public and community, and it boasts a collection of works by celebrated nineteenth-century artists such as Paul Gauguin and Vincent van Gogh, Pablo Picasso, Joan Miró, and Piet Mondrian, amongst others. Educational programs include classes like Art with Artists, Director’s Lecture Series, and Art of Jazz. Furthermore, the museum’s library and archives are an invaluable sourced of research for students and budding artists alike. More NY destinations: 50 Best Things to Do in the Hudson Valley. Buffalo City Hall is world-renowned Art Deco building and one of the largest city halls in America. 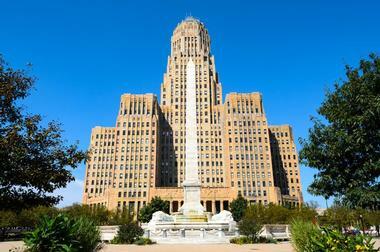 The building is the seat of the municipal government of the city of Buffalo, and it is an architectural masterpiece open to the public through guided tours. Designed by John Wade, the building was completed in 1931 and is currently listed on the National Register of Historic Places. Docent-led tours of the building are free and include viewings of the Council Chambers, the Mayor's Office, and an observation deck that offers breathtaking views of Buffalo. Designed by the father of American landscape architecture, Frederick Law Olmsted, Delaware Park is one of three parks that make up part of the Buffalo Olmsted Park System. Simply named The Park by Olmsted, this beautiful 350-acre refuge acts as Buffalo’s “Central Park” with a collection of gardens and meadows, forests and lakes, picnic lawns, and playgrounds for the public to enjoy. It is also home to many of Buffalo’s renowned cultural institutions. The historic Parkside Lodge features manicured Parkside Lodge croquet and picnic lawns for rent while the Quarry Garden, a magnificently landscaped garden, has lovely reflective pools, stone walls, and arched bridges. 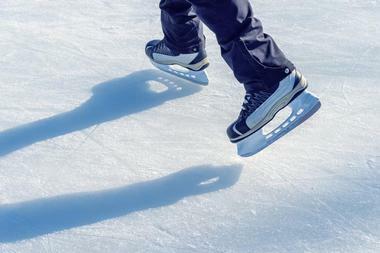 Situated in the heart of Buffalo’s waterfront gentrification, Canalside is a public area along the riverfront that boasts a variety of entertainment and activities for the whole family. It has plenty of space for vessels and lovely open areas for visitors to relax and appreciate the views. Canalside hosts hundreds of events every year and an array of activities for everyone to enjoy, such as paddle and pedal boating, cycling, exercise and yoga classes, horse and carriage rides, boxing and martial arts classes, haunted history walks, and Canalside pub crawls. There are a range of places to eat and drink along the waterfront, which can be accessed through entrances off Scott Street and Marine Drive. 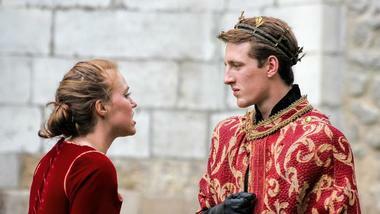 Shakespeare in Delaware Park is a professional theater company that presents free entertainment in the form of high-quality theater productions to a wide range of audiences. 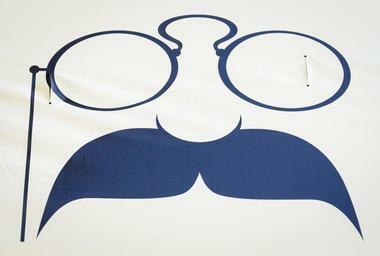 The theater company presents shows throughout the summer on a Grand Tudor-Style stage in Delaware Park, a historic park designed by landscaping guru Frederick Law Olmsted. They particularly focus on the works of William Shakespeare. The company is dedicated to encouraging both children and adults to develop an interest and appreciation for theater and the phenomenal works of Shakespeare. To accomplish this endeavor, they offer a range of educational programs and summer camps and present outstanding entertainment at no cost. 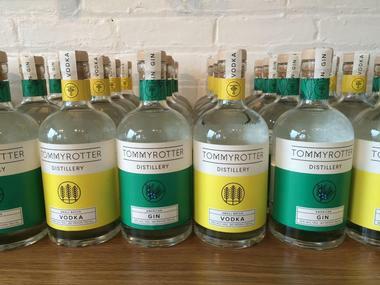 Tommyrotter Distillery is a craft small-batch distillery in Buffalo, opened to the public in 2015 by San Insalaco and Bobby Finan within the city's historic Hydraulics district. The distillery, which is housed within a century-old factory building, has been the recipient of gold medals and best-in-show awards from prestigious international liquor competitions, including the San Francisco World Spirits Competition and the New York World Wine and Spirits Competition. Craft vodka, whiskey, and gin variants are offered, with all products distilled and packaged onsite at the distillery's 2,700-square-foot production facility, which may be explored as part of guided tours. Tifft Nature Preserve is a 264-acre nature reserve established for the preservation and conservation of the local environment and for the public to enjoy a range of outdoor activities. Once part of a huge dairy farm owned by George Washington Tifft and later serving as a coal and iron ore transshipment center, the nature reserve was opened in 1976 and has since offered the public a lovely natural space in which to relax. 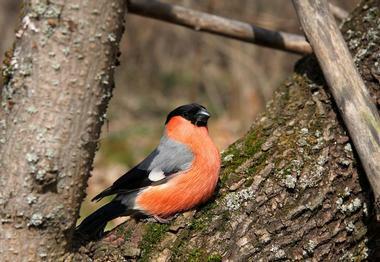 The park features over five miles of walking trails and guided walks, as well as three well-maintained boardwalks with viewing platforms for wildlife and bird watching and fishing at Lake Kirsty.